Within the next decade you will be able to grow all of your vegetables in a box barely larger than your refrigerator. This surprising statement is the result of a class project at Singularity University this summer. Here’s how we came to believe that this is true. In the first week at Singularity University, we were introduced to a team project called “Food for Cities.” The project was suggested as one way to meet a goal of Singularity University: to come up with solutions that can positively affect the lives of a billion people. It was only one of several projects that seemed interesting, but it aligned with our interest in organic gardening and sustainable food production. Coming from Vancouver Island in Canada (Derek) and Cambridge in England (Maggie), local food is a hot topic. When it came time to make a final decision on projects, Food for Cities was our choice, along with four other students, two of them more business-focused – a Stanford MBA and a Danish businessman, a biotechnology student, and a guy with a background in bioinformatics. I (Maggie) come from a more academic background of history of science. I (Derek) am a computer science student at the University of Victoria and joined this team because I wanted to build a working prototype to take home and grow some food with. 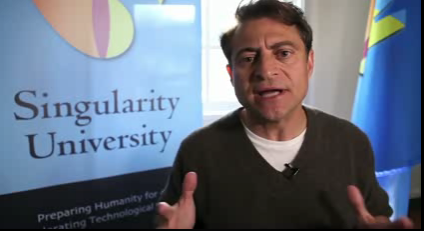 Singularity University is an experiment at looking broadly across fields. We had real experts in a number of fields come and speak with us – biotechnology, nanotechnology, artificial intelligence and robotics, networking, future studies and forecasting, business and economics – and the first three weeks were a whirlwind of all-day lectures, late night conversations, and little sleep. We had some great speakers to ground us in our project. Lane Patterson, the engineer of the South Pole research station hydroponics growing facilities spoke to us about the challenge of growing fresh food in an environment that is cut off from the outside world for 8 months of the year. John Hogan and Chris McKay, our two team advisors from NASA Ames, gave talks about their programs in planetary science and bioengineering advanced life support systems, and Dickson Despommier, of Columbia University, spoke to us about his vertical farming initiative. Christina Milesi, also of NASA Ames, spoke to us about declining worldwide food productivity as evidenced by satellite imagery. As we listened to these speakers and dug into our project, it became clear that the current system of food production suffers from a number of serious problems. Due to unrestrained corn subsidies, it’s impossible to escape high-fructose corn syrup, which leads to obesity. As consumers rebel against the over-spraying of pesticides, manufacturers engineer pesticide into the plants themselves, leading to a justifiable fear of GMO crops. Our fields are over-fertilized and the runoff is causing increasing salt and heavy metal contamination that is turning our most fertile valleys into deserts. California exports tomatoes to Europe; meanwhile the Netherlands export tomatoes to California. All the while, our population continues to grow, threatening to push our overstrained food supply and delivery infrastructure beyond its breaking point. Something has to change. So we decided as a team to focus on the centralized nature of current food production. Today, in good growing conditions, it takes an estimated 16 square feet of garden space to provide just a single person with vegetables — and that’s more than exists in most city environments. Drawing on the controlled-agriculture experience of our advisors, we determined that the best technique to personalize food production without the use of large tracts of farmland was aeroponics. 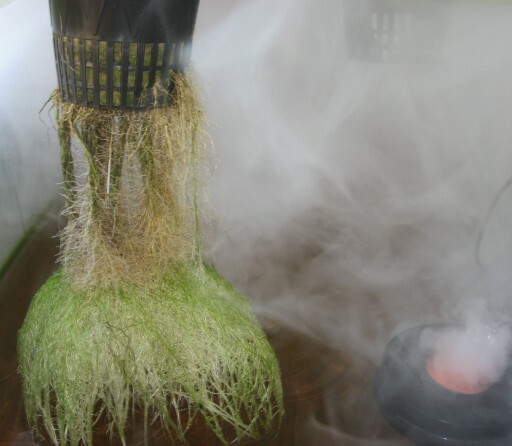 Most people are familiar with hydroponics, where the roots of the plant rest in a liquid nutrient bath, but fewer have heard of aeroponics, where the nutrient solution is vaporized into a fine mist. Aeroponic gardens can save 90% of the water used in a conventional garden, and the growth rate can be 25% higher than in soil gardens because the oxygen levels in air are so much higher than in soil. An additional 40% boost to growth rates can be obtained by growing the plants in enriched CO2 atmospheres. This increased CO2 concentration has the additional benefit of discouraging pest infestations and bacterial contamination. In collaboration with NASA, we instrumented our prototype gardens with sensors to measure nutrient levels, temperature, humidity, and pH. The acidity of the nutrient solution is especially critical to optimizing the nutrient uptake of the plants, and gives an important first warning sign of the growth of algae, which steal nutrients away from the plants. With this practical demonstration in hand, we proceeded to the main work of the summer: synthesizing all these fields of technology to create a picture of where food production was going. Our challenge was to figure out what the roadblocks were to efficient, decentralized food production, and with our clear view of the forthcoming technologies, figure out how to avoid those roadblocks. We determined that the first obstacle was the consumer perception of hydroponics and aeroponics. In our interviews, if consumers knew about them at all, they associated the technologies with pot farmers. It was our synthesis of the research in lighting and biotechnology that convinced us that a tipping point is coming where these technologies will economically apply to legal food crops. If that happens, and consumers still see field-grown organics as the only healthy and sustainable choice, these technologies will not break the current centralized model of food production. But if consumers realize that these new technologies allow them to take control of their own food production, food security and healthier food will be within everyone’s personal grasp. The approach we decided on we’re calling “Agropolis,” a concept for a new kind of food creation and distribution system. 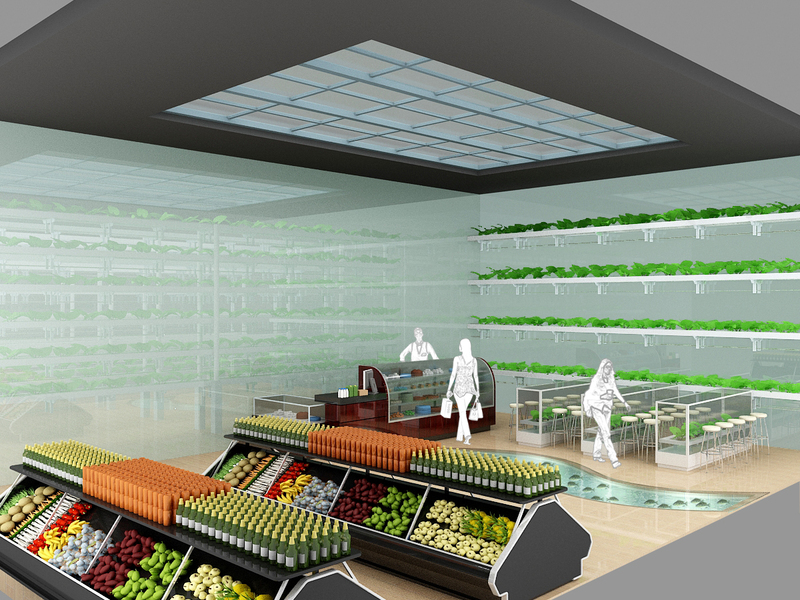 In its first iteration, Agropolis will likely be a concept store and market where vegetables are grown on site. Although Agropolis will likely begin as one store, we believe that it will spark awareness of problems in the food system and the values of urban farming. It will also provide a location for increased research into controlled agriculture so that the technologies will advance and will be more easily scaled. The first version of Agropolis will be like the first cell phone — big, bulky, imperfect, and available only to some. Just as cell phones are now available all around the world, Agropolis will facilitate the expansion of controlled and decentralized agriculture. 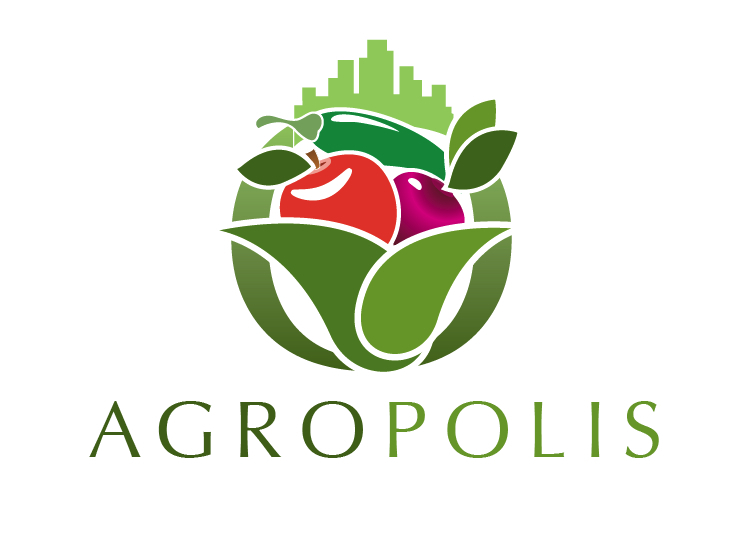 The Food for Cities team hopes Agropolis will encourage a worldwide movement towards sustainable, healthy food production, aimed ultimately at providing a viable solution for world hunger. Now let’s talk about some of the key technology changes that are making this possible. As lighting efficiencies continue to increase, natural sunlight can be supplemented and eventually replaced by artificial lighting. This is the step that allows us to save space by stacking our gardens, in trays up to six layers high in an average room. In lighting, organic light emitting diodes (OLEDs) are approaching the 30% efficiency range, on par with the high-pressure sodium lamps used in greenhouses today. But OLEDs can provide light in a spectrum ideally suited to plant growth and can be placed much closer to the plant because they produce less excess heat while saving electricity. Today, biotech focuses on pest control, but in the controlled aeroponics environment, that is much less necessary, and genetic modifications can focus on other areas. Species of plants have recently been discovered that create a chlorophyll that is sensitive to low-energy red light. If this were introduced into food species, the lighting requirements could be dramatically lowered. Bamboo grows at up to 60 cm per day, so if the genes responsible for this rapid growth were introduced into food crops, growth times could be drastically reduced. We now have the technology to optimize plants for human nutrition — the success of golden rice is one example, but once we have tightly controlled growth conditions, the range of GMO manipulations is endless. Our food can grow precise quantities of our medicines, and produce nutrient profiles specifically tailored to our personal needs. Not to mention taste. The taste of the finest heirloom tomato is a function of genetics and growth conditions, but our commercial crops today have lost this due to a focus on varieties that can resist pests and ship well. These advances, combined with the automation afforded by sensors and a well-designed control system, led our team to a relatively conservative reduction in the space required for one person’s vegetables: from 16 square feet down to five. And since we are getting that five square feet in multiple layers with artificial lighting, a grow box the size of your fridge no longer seems so unrealistic.